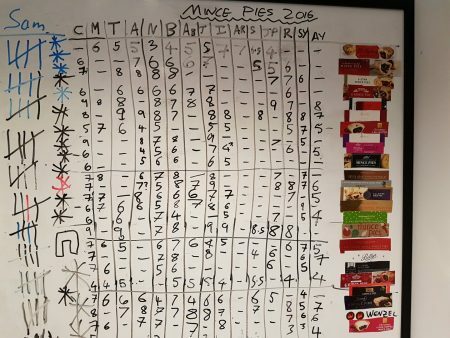 Yes I know it’s Christmas already but it’s not too late to share the results of our office mince pie survey. 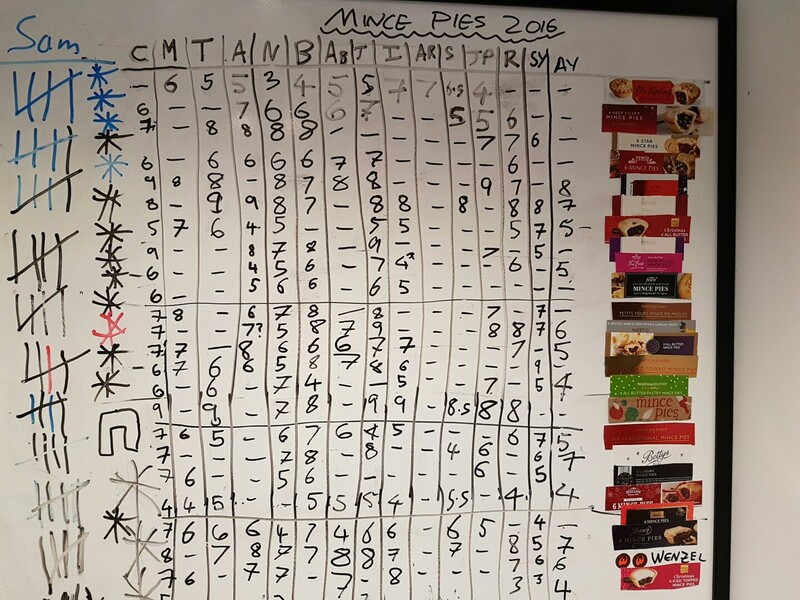 In all 24 pies were sampled: a record! The best is Riverford organic pies but the Waitrose “all butter” and M&S “star” pies are decent too. Stock up now!